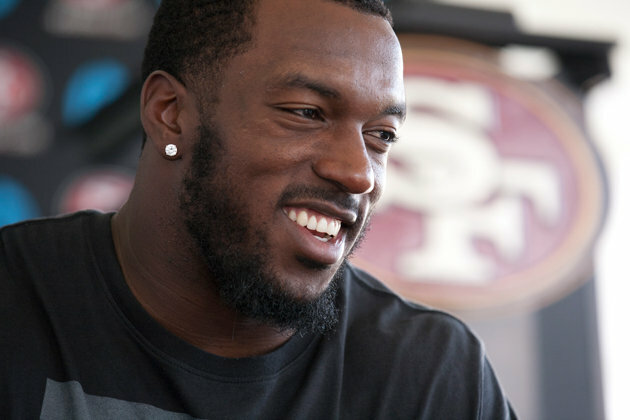 San Francisco 49ers Linebacker, Patrick Willis, served as Honorary Event Chair for the 2nd annual YouthLive! gala held on Saturday, May 11, 2013. Willis’ interest in helping Unity Care comes from his personal experience as a foster youth. Born in Tennessee, Willis grew up in poverty along with his younger siblings. By age 17 Patrick and his younger siblings were removed from home and placed in the care of his high school basketball coach, Chris Finley and his wife Julie. Established himself as a household name and an annual candidate for NFL Defensive Player of the Year honors with superman-like performances week-in and week-out, having led the NFL in tackles in two of his first four NFL seasons. As the 11th-overall selection in the 2007 NFL Draft, Willis made an immediate impact as a rookie, earning All-Pro, Pro Bowl and NFL Defensive Rookie of the Year honors. Earned Pro Bowl and All-Pro honors in each year of his career thus far. After the 2012 season became the only 49ers player to earn Pro Bowl/All-Pro honors in each of their first six seasons. In 2012 led the 49ers to their first Super Bowl appearance in 18 years. In 2011 led the 49ers defense to an NFL record for not allowing a rushing touchdown until week 16 of the season. Finished out the season with an appearance in the NFL Conference Championship and a final record of 13-3. Featured in ESPN’s E60, which shed light on Patrick’s remarkable story from a difficult upbringing to an NFL superstar.